It makes me giggle as I write this review and think about my friend asking if I am skinnier!! Credit where it is due the name is very catchy and may lead people to believe that with a stroke of this tan you lose 5lbs. Sorry to dash your dreams but this is not the case, however what it does do as a fake tan is make you appear thinner and also helps mask any skin imperfections. I was sent the tanning mitt and the Dark tanning mousse that seems to sell out as soon as it comes into stock so I knew I was onto a winner. As we all know I am a tanning connoisseur. 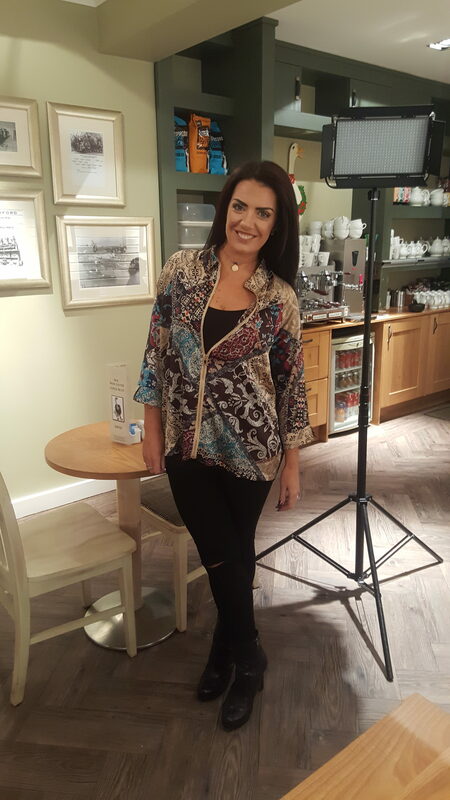 After my skin cancer in 2015 I stay out of the sun and rely on fake tans to give me that bronzed look all year round that I love. When I have a tan I feel better and will even happily walk round and video blog without any make up on (just contour your face with your tan ladies). 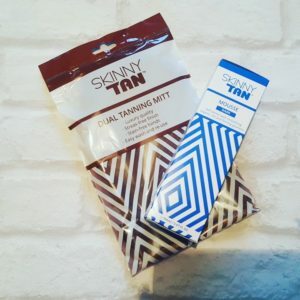 Fake tans have such a bad stigma because they used to be terrible but now tans have really really improved and I must say skinny tan is now up there on my favourite fake tan list!!! I opened the mitt ready for the evening tanning ritual and I have to say that the mitt alone screams quality. It is thick, double sided and has like a velvet finish. I have had mitts before where the tan seeps through and then stains the hands but you don’t get this with the skinny tan mitt and this mitt will last you a very long time. You can wash and reuse it which is perfect. After giving the mousse a shake I pumped a blob onto the mitt and had a smell. It was a pleasant coconut smell which continued onto the skin once applied. The guide colour was good so you knew where you had applied the tan and it went on effortlessly and streak free, my 9 year old even managed to do my back. Desperate to see the finished result I jumped in the shower the next morning and watched all the guide colour rinse away only to be left with a gorgeous deep bronzed glow. 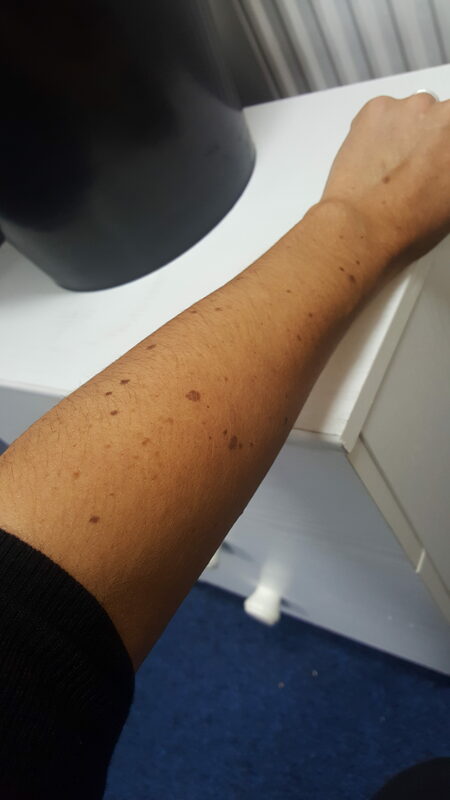 The tan was dark as I like it, looked like a proper sun tan, streak free and there was no unpleasant smell. 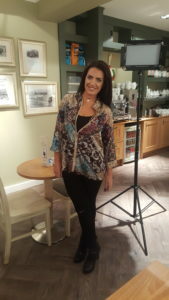 Here is me all ready for filming the next day with my skinny tan! This is the tan 5 days later and as you can see there is no patchiness where the tan starts to fade and I still have amazing colour. 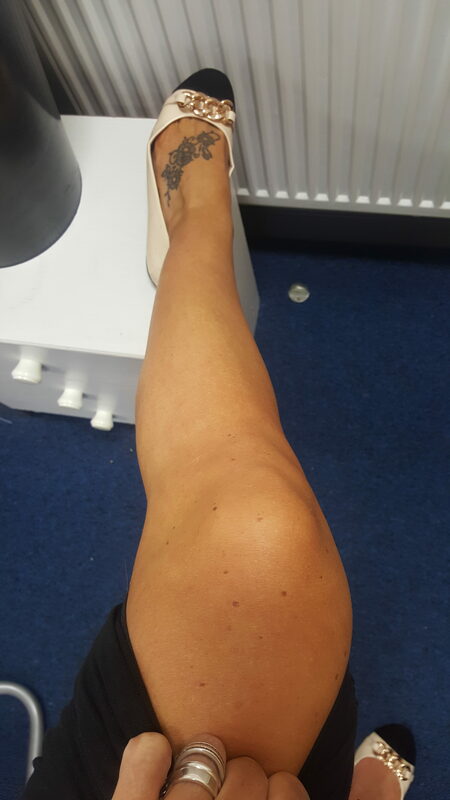 Even look at the knees where colour can build or fade terribly, after 5 days skinny tan still looks flawless. I can get irritated by tan too and itch but as this is made with naturally derived tanning actives I have not experienced any problems.